From the decathlon 110m hurdles through to the 4x100m finals, here’s a detailed guide to the action on day nine of the IAAF World Championships in London. Ashley Bryant goes in heat two with Kai Kazmirek. Most of the other leaders (Kevin Mayer, Damian Warner, Trey Hardee, Rico Freimuth) go in heat four. The first three qualify alongside the two fastest losers. GB (a senior team yet to finish a race this year) go in heat one in lane four, alongside USA. Netherlands, France and Switzerland could also challenge. The second heat should be dominated by Jamaica with Germany, China and Bahamas next in line. Three qualify from each heat along with the next two fastest. GB go in lane 4 in heat one, again against USA. Trinidad and Japan should be next but Turkey could surprise with Guliyev. 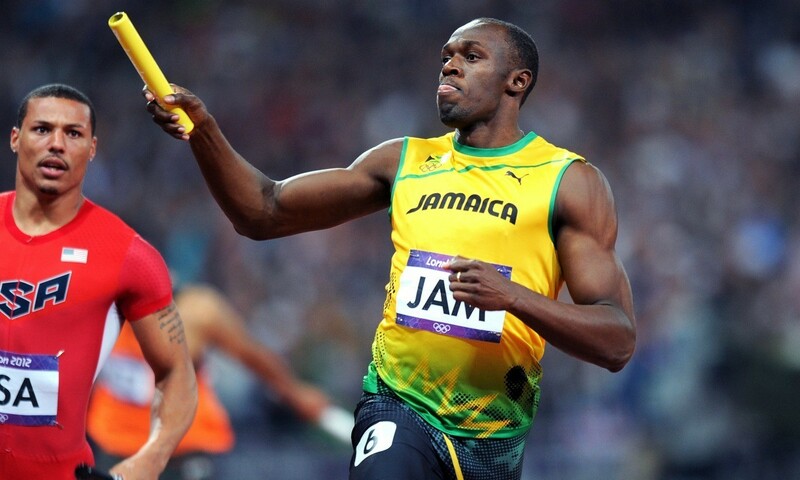 Jamaica, with Bolt likely to run, will be in heat two with Germany, Canada, China and France possibly to follow. Bryant goes in group A. Again it’s the top three to qualify plus the next two fastest. Yet again GB are in heat one against USA. Australia and France are the likeliest challengers. The second heat will be won by Jamaica with Bahamas, Poland and Germany possible qualifiers. The first heat looks a probable win for Jamaica or Bahamas with Poland and Spain possibly next. GB go in heat two for a change but are still against USA. Qualification will be tough as potential winners Botswana are there as are Trinidad, Spain, Belgium and France. Bryant goes in the later group B. The stronger athletes in this discipline go in the earlier group A. Neutral athlete world-leader and defending champion Maria Lasitskene is a big favourite with Vashti Cunningham, Ruth Beitia and Airine Palsyte possible medalists. Katarina Johnson-Thompson and Morgan Lake are possible top eight placers. AW prediction last week: 1 Lasitskene; 2 Cunningham; 3 Licwinko. This week: 1 Lasitskene (PB 2.06);2 Cunningham (1.99); 3 Licwinko (2.02); 4 Beitia (2.02); 5 Palsyte (2.01); 6 Levchenko (1.97); 7 Junglfleish (1.97); 8 Johnson-Thompson (1.98); 9 Lake (1.96); 10 McPherson (1.96); 11 Demeriva (1.97); 12 Hruba (1.95). The draw is Netherlands’ Nadine Visser (PB 12.78), world-record holder Kendra Harrison (12.20), 2012 Olympic champion Sally Pearson (12.28), Germany’s Pamela Dutkiewicz (12.61), 2008 Olympic champion Dawn Harper Nelson (12.37), USA’s Christina Manning (12.58), world bronze medallist Alina Talay (12.63) and Olympic silver medallist Nia Ali (12.48). Despite her poor semi, Harrison is favourite with Pearson her biggest challenger and the other three Americans in the mix for bronze. AW prediction last week: 1 Harrison; 2 Pearson; 3 Williams. This week: 1 Harrison; 2 Pearson; 3 Harper Nelson; 4 Manning; 5 Dutkiewicz; 6 Ali; 7 Talay; 8 Visser. This should be the best quality field event in London. Thomas Rohler and Johannes Vetter are favourites but three global champions – Julius Yego, Keshorn Walcott and Tero Pitkamaki are in form as are Jakub Vadlejch and Andreas Hoffman. AW prediction last week: 1Rohler; 2 Vetter; 3 Pitkamaki. This week: 1 Vetter (94.44 PB); 2 Rohler (93.90); 3 Vadlejch (88.02); 4 Pitkamaki (91.53); 5 Walcott (90.16); 6 Yego (92.72); 7 Hofman (88.79); 8 Frydrych (88.23); 9 Krukowski (88.09); 10 Kiriazis (88.01); 11 Singh (84.57); 12 Magour (85.23); 13 Kiri (86.65). Mo Farah is favourite to complete a stunning fifth straight global double and 11th successive individual title. Ethiopians Muktar Edris, Yomif Kejelcha and Selemon Barega look the most dangerous opponents alongside Rio runner-up Paul Chelimo. Andrew Butchart could go close to the medals. AW prediction last week: 1 Farah; 2 Edris; 3 Chelimo. This week: 1 Farah (12:53.11 PB); 2 Kejelcha (12:53.98); 3 Edris (1254.83); 4 Chelimo (13:03.90); 5 Barega (12:55.58); 6 Butchart (13:08.61); 7 Rutto (13:03.44); 8 Hill (13:05.69); 9 Ahmed (13:01.74) 10 Tierna (13:13.44); 11 Kifle (13:13.31); 12 Balew (13:09.26); 13 Habte (13:16.09); 14 Knight (13:17.51); 15 Campbell (13:14.45). France’s Kevin Mayer, barring any disasters in the javelin and 1500m, will win easily and the other medals look like they could go the way of Germany’s Rico Freimuth and Kai Kazmirek. The draw is Netherlands (with Schippers) (season’s best 42.64), Trinidad and Tobago (42.91); USA (41.84); GBR 41.93; Germany (42.25); Jamaica (42.25), Brazil (42.77); Switzerland (42.50). Again USA and Jamaica are big favourites. GB now favourites for third ahead of Germany. AW prediction last week: 1 Jamaica; 2 USA; 3 Germany. This week: 1 USA; 2 Jamaica; 3 GBR; 4 Germany; 5 Netherlands; 6 Brazil; 7 Switzerland; 8 Trinidad. The lane draw is Canada (SB 38.15); Turkey (38.44); USA (37.70); Jamaica (37.95), France (38.03), GBR (37.76), China (38.19), Japan (38.21). Again it should be between USA and Jamaica with all eyes on Usain Bolt in his last ever race. If they can reproduce their semi-final and be safe, Britain should be a clear third. AW prediction last week: 1 Jamaica; 2 USA; 3 Japan. This week: 1 Jamaica; 2 USA; 3 GBR; 4 Japan; 5 France; 6 Turkey; 7 China; 8 Canada.